OpenProcurement.io project allowed us to show off our creative and technical expertise. The website is dedicated to an open source toolkit, designed by Quintagroup specifically for procurement of goods and services on behalf of public authorities or private entities. OpenProcurement was initially developed for ProZorro, a procurement system, implemented to support public procurement in Ukraine. Later OpenProcurement open source software has been used by other state and commercial projects, since it is flexible enough to handle all shapes and sizes of government and private sector procurements. 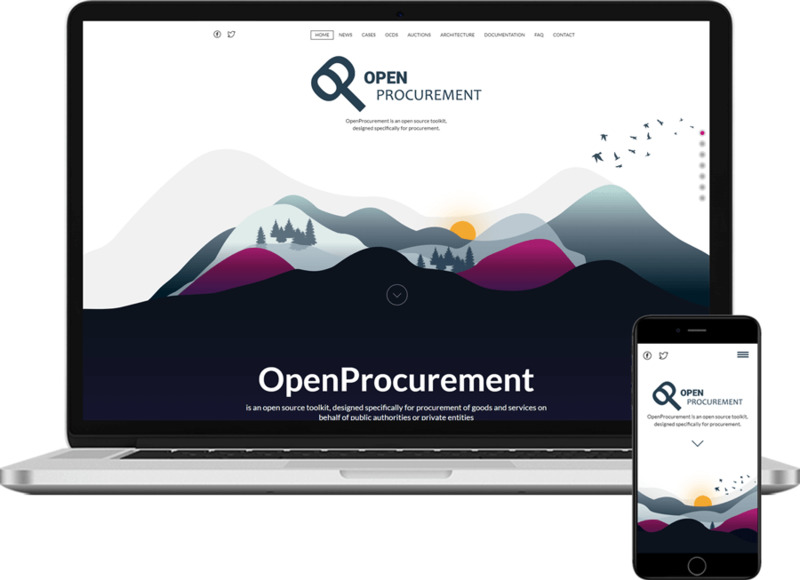 Quintagroup developed concise yet striking design for the OpenProcurement.io project. The website is responsive - it adapts to the visitors’ device, be it a mobile phone or a tablet. Modern look, clean layout, and tailor-made content put a spotlight on the toolkit’s main features. The resulting OpenProcurement.io portal is highly optimized and easy to administer. Our first-hand knowledge of the product and lack of restrictions allowed implementing ingenious and thought-out design that calls to action.